ABERDEEN, Md. 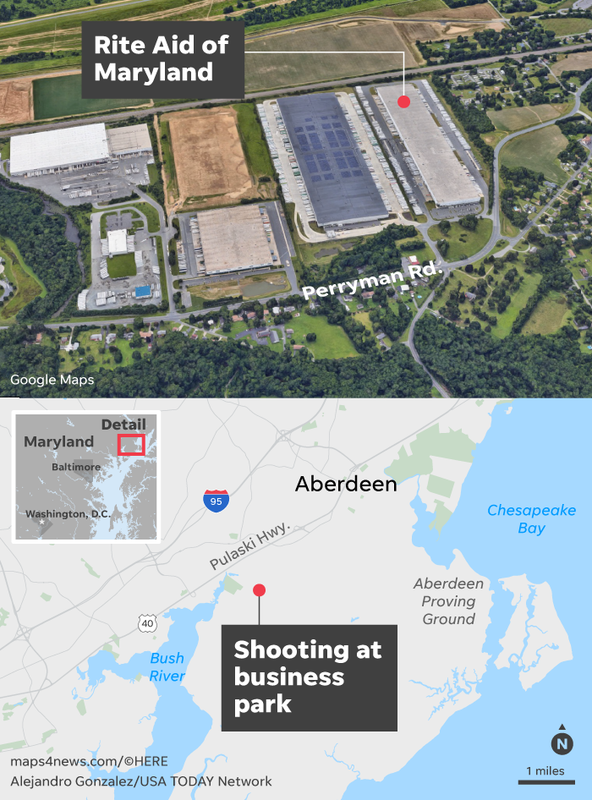 – A 26-year-old woman who was working as a temporary employee at a Rite Aid warehouse center near Aberdeen, Maryland, killed three people Thursday and injured three others before turning the gun on herself. Snochia Moseley, from Baltimore County, was in critical condition inside the building before law enforcement officers arrived. She died at a hospital. Harford County Sheriff Jeffrey Gahler said Moseley first opened fire with a handgun outside the building and then moved inside, where she opened fire on other employees before shooting herself. Law enforcers did not fire any shots, he said. Gahler said investigators had not determined a motive for the shooting, which unfolded in this community 35 miles northeast of Baltimore. He called the incident “another tragic event for us here in Harford County.” In October, a machine operator at a Harford granite company shot five people at his workplace and another man at a car dealership. Three of his victims died. Two of the victims died at the scene and a third at a hospital; the three people who were injured were expected to survive, Gahler said. The sheriff told reporters that law enforcement officers continued to clear and search the 210,000-square-foot facility for additional victims and information. “She didn’t aim. She just shot,” Watson said. Rite Aid spokeswoman Susan Henderson said the warehouse facility employs around 1,000 people. Venetta Johnson, who has worked at the Rite Aid distribution center for about two months, said employees were not told a shooting had occurred. “They didn’t tell us until about 12, 1 o’clock,” she said after a joyful reunion with her sister Kim across the street from the business park. Alexi Scharmann told WBAL her mother, who works inside the Liberty Building, texted her about a shooter inside the facility. The mother told her to take care of her father and the dogs. She was silent for more than a hour before notifying a family member that she was safe. Marvin Scriven, who was stopped at a roadblock near the scene as he was en route to a job site, said his wife called to say her work building, near the scene of the shooting, was locked down for hours as police swarmed the area. The FBI Baltimore office and special agents from the Department of Alcohol, Tobacco and Firearms were also assisting in the investigation. Aberdeen is near the Aberdeen Proving Ground, a U.S. Army facility. The Aberdeen shooting comes one day after gunfire rocked two other workplaces. A gunman who opened fire at a Middleton, Wisconsin, software company wounded three people and sent panicked office workers scrambling to safety on Wednesday before being fatally shot by police. In Fayette County, Pennsylvania, a gunman shot four people outside a judge’s office and crowded courtroom on Wednesday before being killed by police. Previous articleWhat will it take for North Korea to denuclearise? Who can shape Libya’s future?